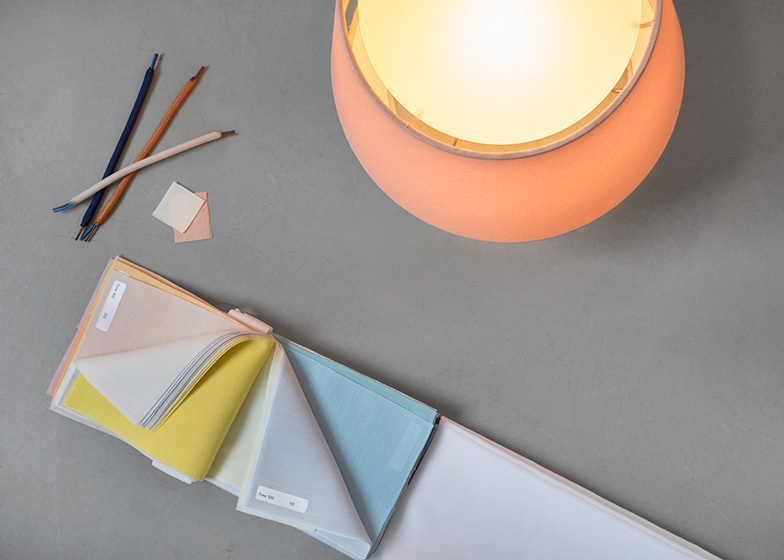 Stockholm 2015: Stockholm-based Note Design Studio has created a series of lamps wrapped in pastel-coloured textiles for Swedish brand Zero (+ slideshow). 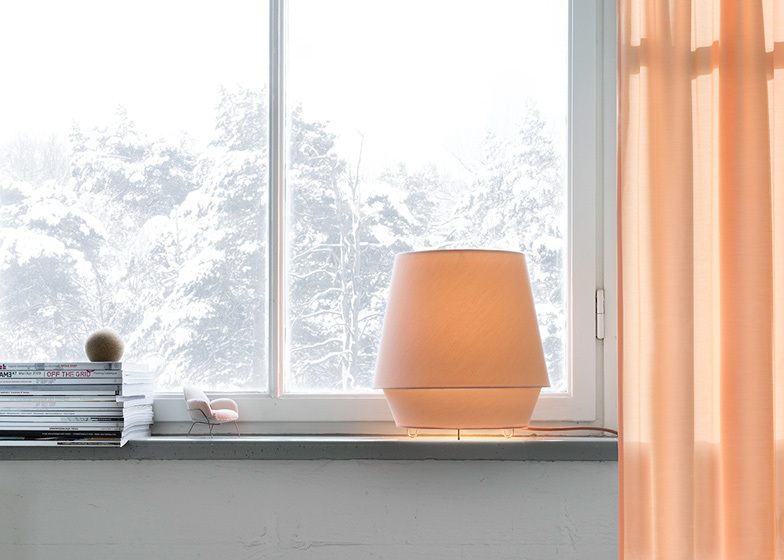 Note Design Studio based the Elements lamps on the tones of light observed in the Scandinavian mountains. "When we started the process of designing this new series, our thoughts went directly to the relationship we have with light and nature here in the Nordic countries," said Note co-founder Cristiano Pigazzini. 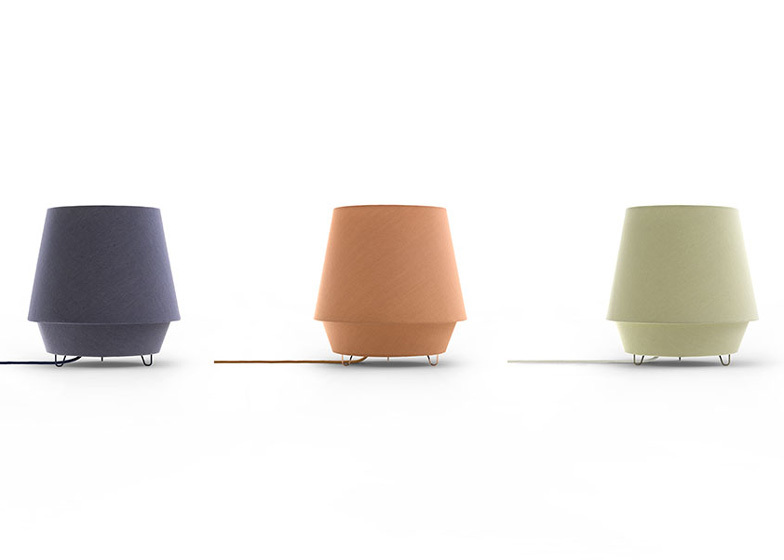 Colours created by the low sun during the winter are referenced using muted hues for the lamps' shades and stands. "When we think of light it is not about a strong light, it is about a soft and gentle light, contrasting the long dark winter days," Pigazzini said. 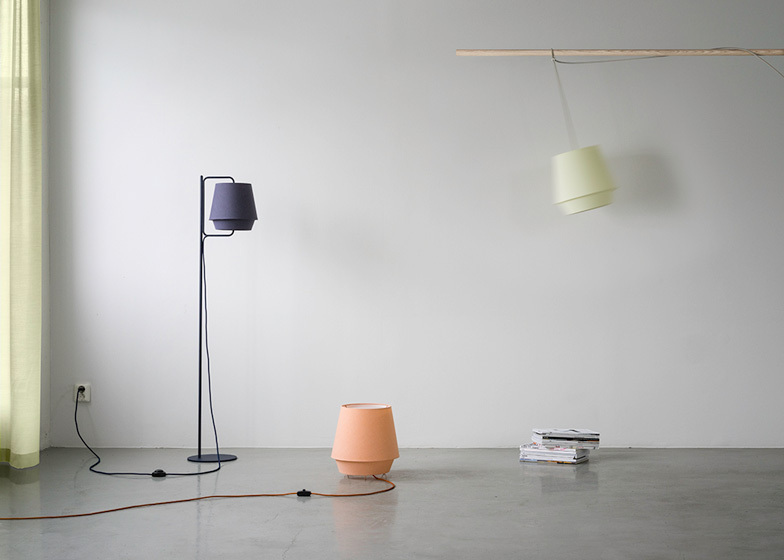 Note Design Studio's collection of lamps for Zero all bear a similar, simple shape. Strips of fabric produced by Danish brand Kvadrat are wrapped around metal rings to form two tapered bands. The smaller section fits beneath the wider end of the larger element, overlapping one another to form the shades. "The simple shapes of the lamp shades direct the light and the well-balanced materials give the lamps great usability," said Pigazzini. 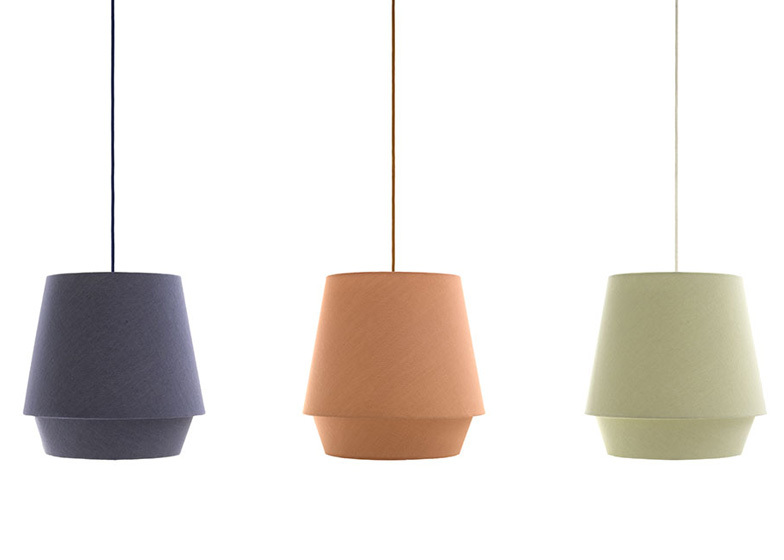 Elements lights come in floor, table, pendant and wall-mounted versions, with a range of pastel colours available for the fabric. The table lamp is supported by three small metal feet that raise it just above the surface it rests on. To form the floor version, a rounded rectangular metal loop is connected to a thin pole on one side. The loop's other vertical edge feeds through the centre of the shade to hold it in place. 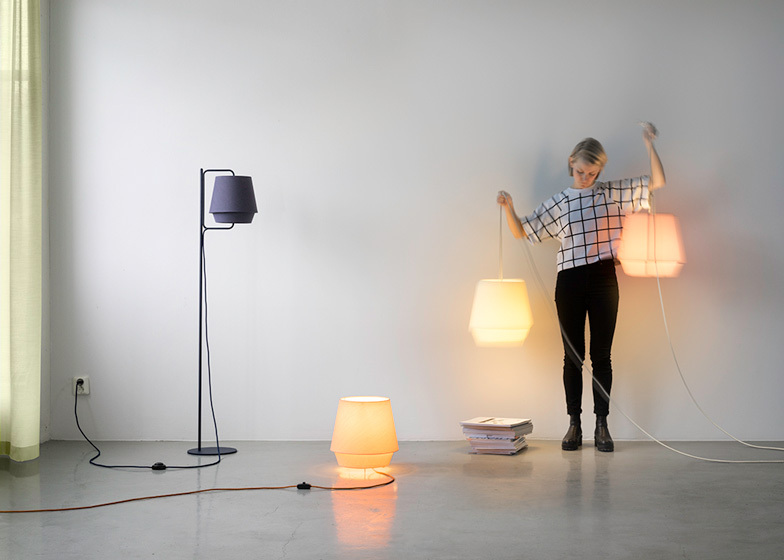 The lights will be launched at different locations around Stockholm during the city's design week next month. These include Zero's showroom, Note's Domestic Science event and the Stockholm Furniture Fair, where a metal side table by Claesson Koivisto Rune and upholstered seats by Luca Nichetto will also be presented. During last year's Stockholm Design Week, Note added a floor lamp and triple-pendant design to its collection based on grain silos for Zero.